Can't Quit Quilting: I LOVE ME SOME CHOCOLATE BROWN SUEDE! A few months back I picked up Kim Schaefer's Cozy Modern Quilts on a shopping trip in Annapolis. I like many of the patterns in the book, but I was particularly drawn to one called Carousel, which is a basket weave with lattice. 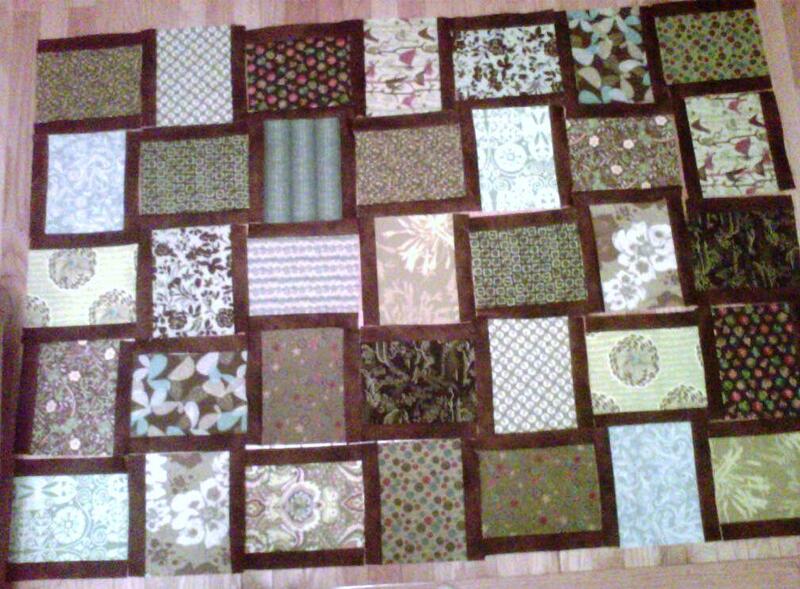 I decided to make it in a variety of green prints with a chocolate brown lattice. 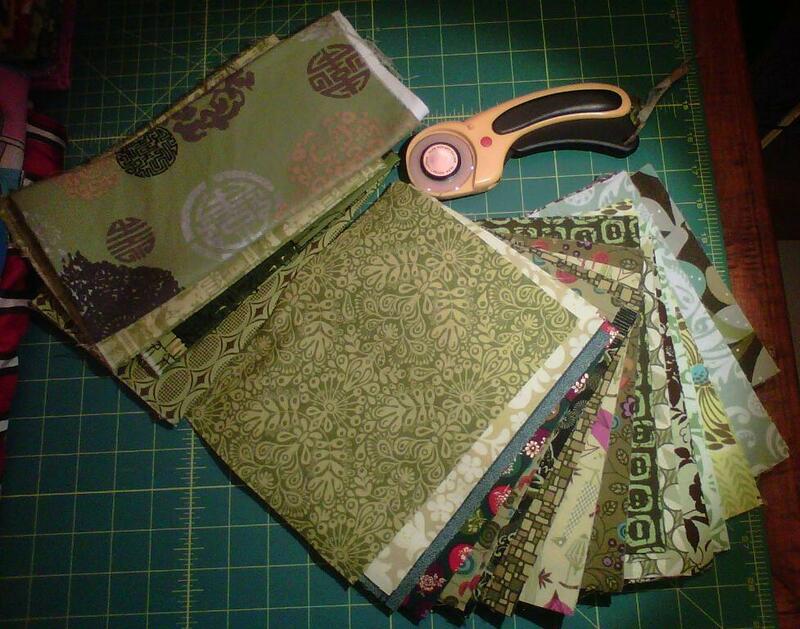 I combed through my stash and supplemented with some fat quarters and a few prints from other quilts, then cut some ridiculous number of 6-1/2" x 8-1/2" rectangles (143 or so). The next time I was at City Quilter, I planned to pick up the chocolate brown fabric I wanted to use for the lattice...but I realized when I got there that I'd forgotten to write down how much fabric I'd need. Grrr. Having been away from the store for a few weeks, I stopped by this past Friday hoping that they would have received their Suede order, so I could get stitching on the quilt. They'd rearranged the store a bit in my absence, so I had to search to find the many colors of Suede. There were various shades of green and taupe, but still no chocolate brown. Such sadness. I checked in with one of their wonderful staff and she offered to run downstairs and check the shipment that had just come in. After several trips to the basement and consultations with other staff, they finally found it. Oh, the elation! Who knew I could be so happy to see chocolate brown fabric. 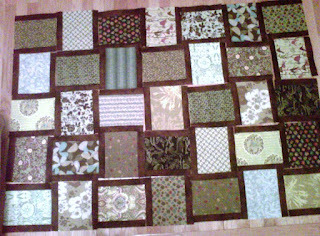 Now I just need to finish the other 106 blocks...and finish ironing all the new Washington fabric I pre-washed. 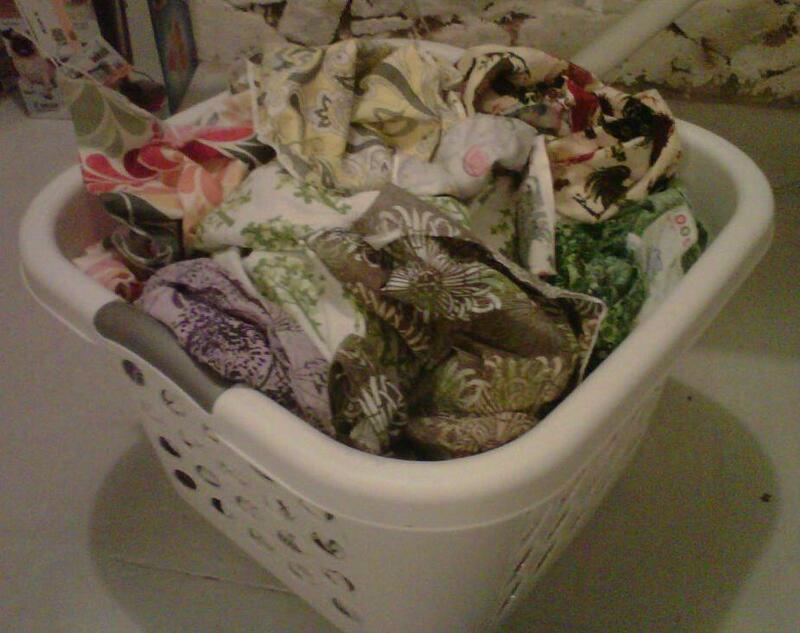 I particularly love the yellow and gray paisley toward the back of the basket.